The firm specializes in residential, commercial, public and institutional site planning and design. Jim has been practicing for over 35 years, successfully collaborating with clients. BBKern DESIGNS, LLC. is a full-service Residential Design Specialist. We are dedicated in helping home owners and builders in creating residential designs that are buildable and suitable. CARLSON Design & Build, Inc. is an artisan based design-build firm specializing in addressing this noble enterprise by providing unique, upscale designs and knowledgeable, comprehensive building services for discriminating clients like you. Experience tells us that successful projects are realized through a synthesis of creative, clearly communicated designs nurtured through a relationship of trust and collaboration between the client and their architect. In the same way, accurate, skillful and timely execution of the design requires experienced construction supervision and craftsmanship. At CARLSON Design & Build, Inc., we excel at both. Our personalized focus on each individual client is the foundation on which we undertake every project. We fashion the entire design and building process around your specific needs and wishes. Carefully listening to your goals and objectives allows us to explore a range of alternatives as we strive to share and achieve your ultimate project vision. Our commitment is to produce an exciting, satisfying and enlightening experience whereby all of your building dreams are fully realized. The ongoing Mission of CARLSON Design & Build, Inc. is to be a visionary team of artisans, continually pioneering effective and innovative ways for the successful delivery of design and building services. Our goal is to provide for you, the discriminating Owner, uniquely successful building solutions through the capabilities and sensitivities of CARLSON Design & Build, Inc. Inspired by the great masters, we wish to bring forth . . . in our time . . . the Best of new ideas for Your distinctive project that you will not find anywhere else. For over 30 years, the award-winning Landscape Connection has been transforming the landscapes of properties of distinction by being at the forefront of landscape design and installation trends and services, creating outdoor spaces of unsurpassed beauty and function that will save you money, help you avoid costly mistakes, and allow you the luxury of truly loving the land you live on. James W Rees is a licensed Landscape Architect and Urban Designer serving Colorado Springs and the Pikes Peak Region. The firm specializes in residential, commercial, public and institutional site planning and design. Jim has been practicing for over 35 years, successfully collaborating with clients’ to turn visions into reality. By thoroughly listening and understanding the owner’s needs, desires and visions, outdoor spaces are created that are unique to each project. Site plans and landscape designs are developed to be environmentally sustainable. 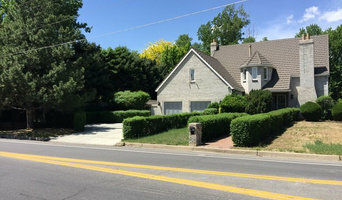 Attention is always given to preserving unique site features, complementing the adjacent neighborhood and are complimentary to the surrounding environment. The use of indigenous and drought tolerant plant materials is a hallmark of long lasting, low maintenance and budget friendly design. 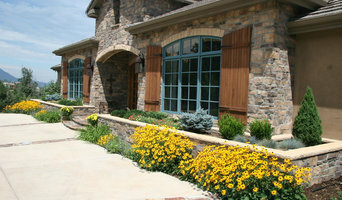 We offer full landscape design/install services. We use the latest technology to ensure you get accurate, properly scaled designs. We have a talented, dedicated crew in place for all your landscape needs. We utilize our knowledge and expertise to make the right choices for the specific space we're working with. We use scientifically proven, sustainable, earth friendly, creative methods. We're excited to be a Certified Pro Partner with Vertexx Living Walls, enabling us to green more spaces than ever before. Living Walls and Vertical Gardens can be installed inside or outside in your home, business or anywhere with vertical space. Your time will be valued and we'll make sure we never waste it! We know that life is sweeter when the time you spend outdoors gives you peace and relaxation and we want to help you enjoy your outdoor living space to its fullest. 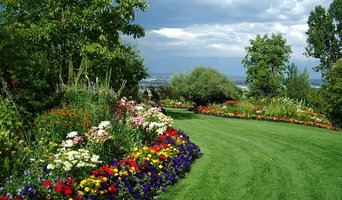 Landscaping Experts Offering more than ten years of expertise in landscape design and installation in Colorado’s Front Range region, we are committed to creating your dream outdoor living space with high quality workmanship and exceptional customer service at competitive rates. Building & Designing Joy Our mission is to create the ultimate outdoor space that brings peace and joy to your life. Whether you want to create the perfect space to entertain friends and family, revamp your walkways with beautiful masonry, or completely overhaul your space into a lush garden or stylish Xeriscape to compliment our arid environment, our team of skilled craftsmen will work to make your ideal outdoor space a reality. 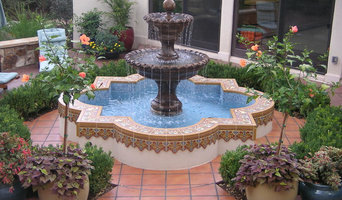 We also specialize in designing and building outdoor kitchens, fountains, fire features, retaining walls, patios, and built structures like pergolas and gazebos. Contact us to learn more about our design and build services from master landscaper, John Majeski. Ecco Build is an General Contracting Company that Designs and builds New Custom Homes, Additions and Remodeling for Kitchens, Master Baths and Basements. Every design tells a story, we would like to help tell yours.